Compatible with rapid assembly processes using automated pick & place systems, Harting has introduced surface-mount versions of its M12 miniature circular connectors. 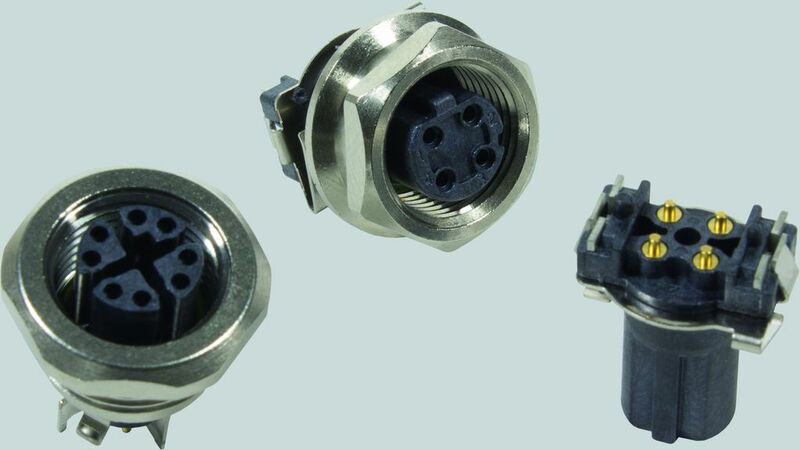 Harting is keeping up with this trend with the introduction of the M12 SMT connector, which will be available in codes A, D and X in male and female versions. This move will bring both power and Ethernet at up to 10 Gbit/s to the PCB via new miniaturised switches. The benefits of this approach are the automated, rapid and more cost-effective placement of the connection, since dispensing with through-hole contacts means that the board can now be populated on both sides. The result is a miniaturised solution that is faster and less expensive to produce.